One of the more famous units of Napoleonic Wars were the Polish Uhlans. They won fame and favors of Napoleon during the Peninsular campaign. 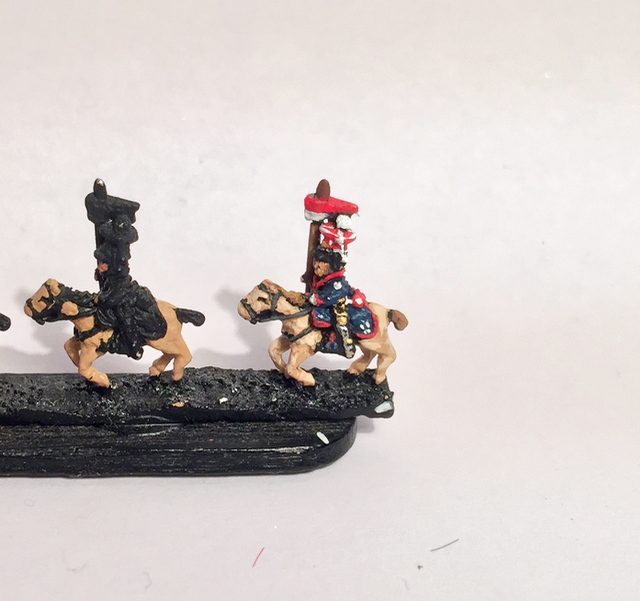 They do form an important gap in the French light cavalry contingent that has provided most abysmal performance, only outranked by Roman Equites. Baccus 6mm Uhlans are not of the range, which is a pity because these models are the ones that really would benefit the level of detail that new French range has. Origin of uhlans go way back to turkish tatar language and to both sides of Volga steppes in mid 17th century. During the union of Poland and Lithuania Ułan was a surname, and as many noble families, served regularly as light cavalry. Individual called Alexander Ułan served as Colonel in the commonwealth army during the reign of August II Mocny and Augustus III, and once he was killed in battle , his unit was named after him (essentially the regiment was referred to as Ułan’s children). When Golden Horde Tatars settled in the lands of Polish-Lithuaninan Commonwealth, their practices, tactics, strategies and naming conventions were incorporated to the Polish cavalry arm transforming it to effective light cavalry fighting force. 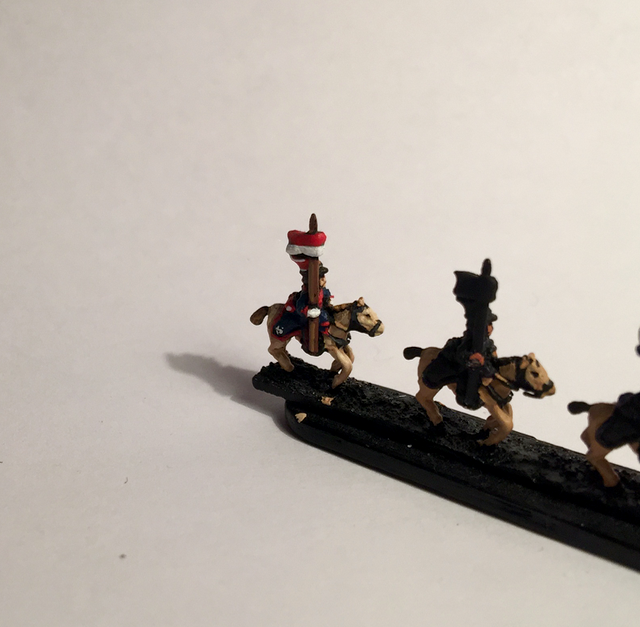 Polish light cavalry arm were essentially divided in two, Hussars became famous heavy winged hussars and Ułan became the lance armed light cavalry. Understanding the versatile nature of light cavalry, Poland pawed a way for the rest of Europe. At the start of the Napoleonic Wars, the Polish Uhlans were raised by Duchy of Warszawa and French army included Vistula Legion and the Chevaux-légers lancers de la Garde Impériale. Both of the cavalry formations gained fame and changed how the light cavalry should operate in and out of the battlefield. Many nations emulated the development in coming years and all major powers such as Germans, Austrians and Russians all raised regiments in this fashion. Light cavalry, formed after Uhlans had undisputed mastery of the battlefield until Polish Russian war and Battle of Komarów against Russian Konarmia in 1920, which effectively ended the long lasting supremacy of massed cavalry in the field of battle. Their use continued until and through Second World War, but no longer as offensive hammer. Uhlans are still raised today, but the role is nothing of their ancestors. So, I hope, once I have several regiments ready, they will perform admirably in the battlefield. First test piece is painted, and some thinking is still needed to add clarity of details but I am inclined to think that the direction is right. 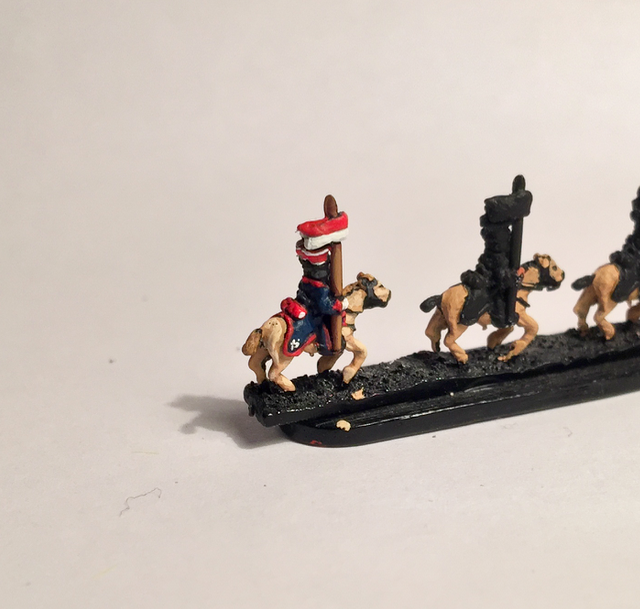 Of course I need to defend the difficulty of painting by the fact that these units are actually Austrian Uhlans, but in this scale only Adler would provide outstanding raw figures that represent the real thing and those happen to be the ones that I do not have at the moment. 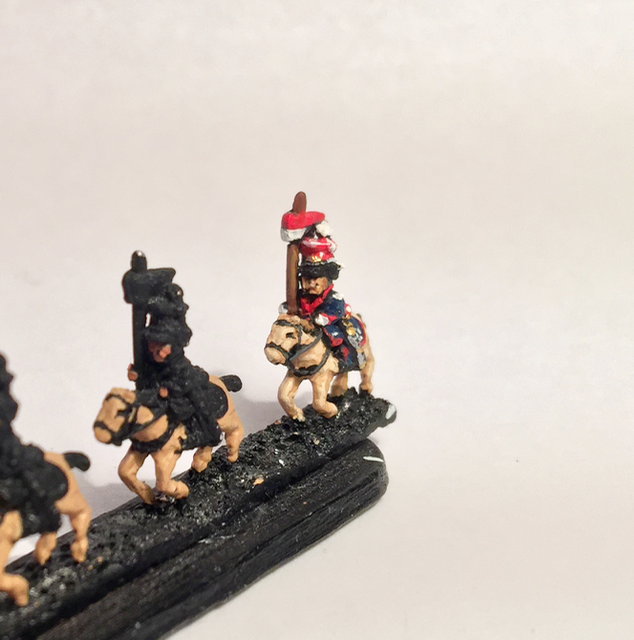 This entry was posted in Drums and Shakos Large Battles, Painting and tagged 6mm, Baccus, Drums and Shakos Large Battles, Experiments, March Attack. Bookmark the permalink.